Feeling bored today ? Buy LinkedIn! Feeling bored today? Buy LinkedIn! Some days you just sort of wish that you could be someone that can do anything. Being completely unhampered, unrestrained to just be whatever you wish; without borders controls or rules. There may indeed be some people who actually are in essence in a privileged position like that. Think Bill Gates, Warren Buffet, Mark Zuckerberg and many other people of that ilk who get up in the morning and think…”What should I do today, I have done almost everything? “. Could one even become bored or irresolute with such a pretext of open yet infinite possibility ? One person with who likely experiences that exclusive predicament combined with being atop the puppeteers gallery holding the strings to a $400 billion dollar empire is Microsoft CEO, Satya Nadella. 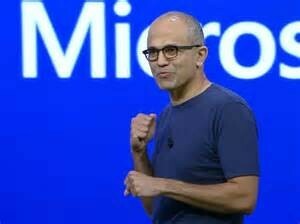 I am well sure that Satya sits at his desk in Redmond thinking up novel ways to expend his time whilst contemplating what future he will pen for one of the world’s largest and technically advanced organisations. Recently Nadella got a great idea to do something that likely mixed up his usual day of executive free thinking; the rather exigent acquisition of LinkedIn. For a $400 billion dollar company with $100 billion plus in cash reserves, a buy out of $26 billion is not a massive monetary play. However there is method and genius to Nadella’s seeming social network acquisition madness, that goes beyond simply pleasing the Wall Street stock price chart monkeys. What LinkedIn will buy him and Microsoft’s shareholders is a 400 million strong membership of professional network that will enable Microsoft to be able to reach its users in innovative ways that it currently does not have today. It is a very smart move and one that I believe will make a huge difference to Microsoft long term in being able to be a better connected platform from which professionals can engage and produce throughout their careers. This strategic play from Nadella shows a high level of maturity and careful consideration. Unlike other social networks whose relevance (and value) can rise and fall with the moods of its followers, LinkedIn has a very stable residency. It is the network for professionals, it is filled with meaningful information that has a long shelf life. This is quite unlike other social networks that tend to have time sensitive and valueless information (think Facebook). It is this differentiating attribute that for me defines why this acquisition is important to Microsoft. 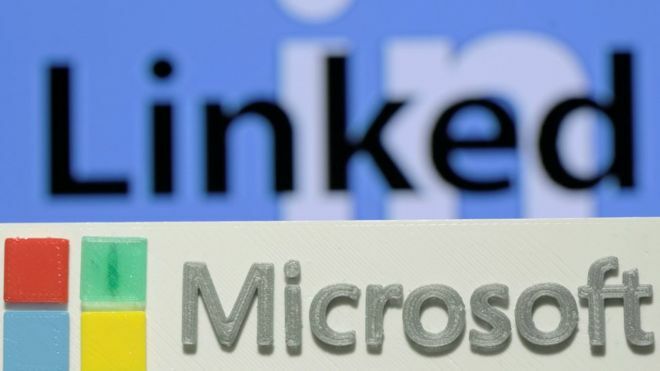 Some commentators have stated that Microsoft paid a “premium” for the privilege to own LinkedIn, I believe it is a low price to pay for essentially buying into a permanent mesh of professionals for the span of their careers. For someone that can essentially do anything, any time, any day of the week, I think this is a smart move indeed. Well played Mr Nadella, I say.